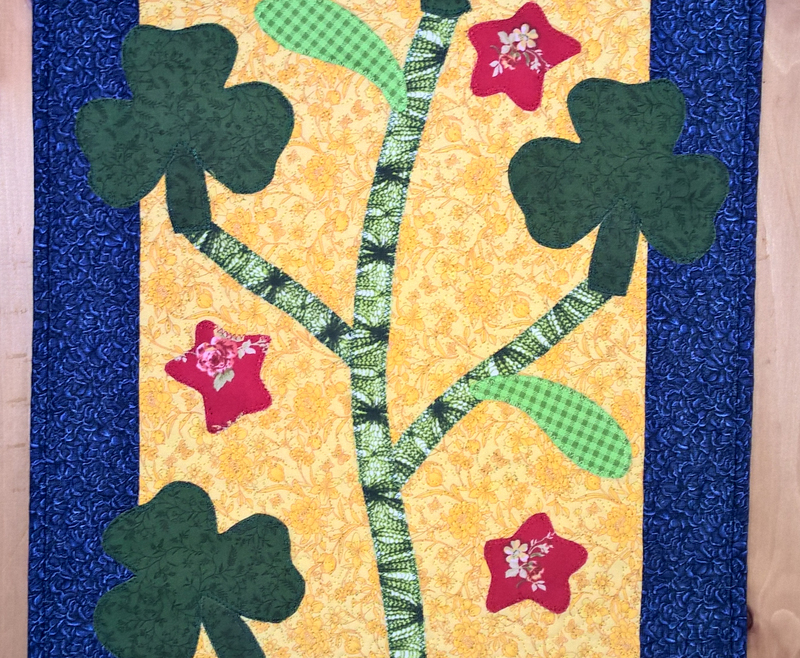 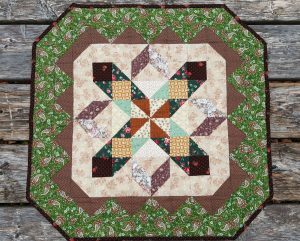 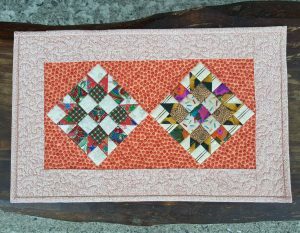 Celebrate your Irish heritage with this handmade “Luck of the Irish” quilted table runner. 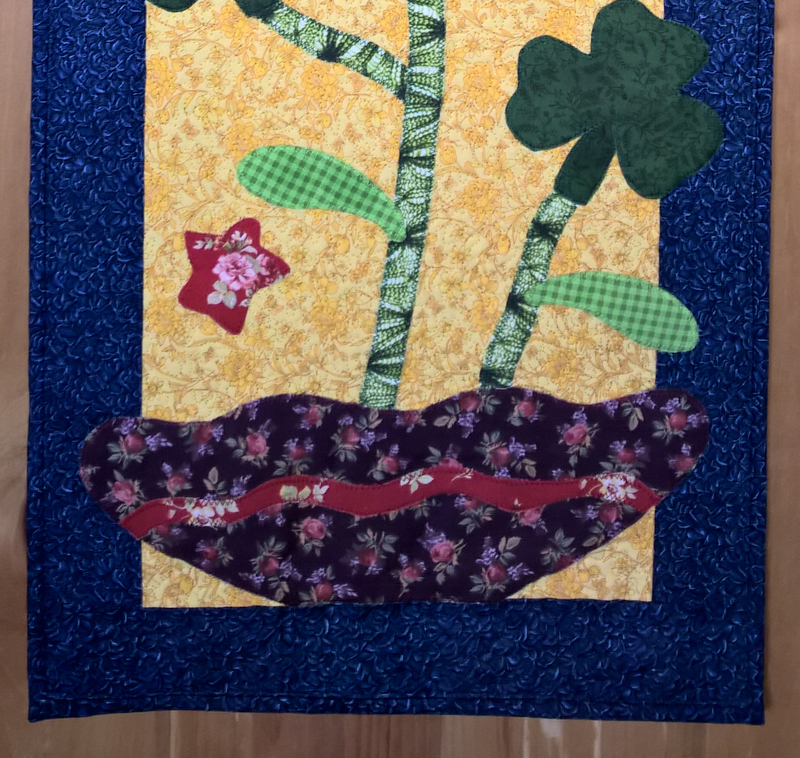 This applique table runner has green shamrocks “growing” from a purple floral planter and red stars on a yellow background to remind you of Ireland. 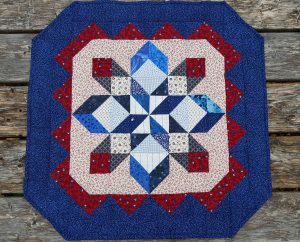 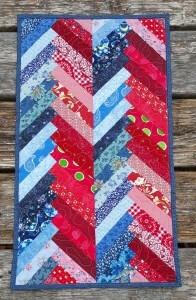 The border and back are a navy and blue swirl fabric. 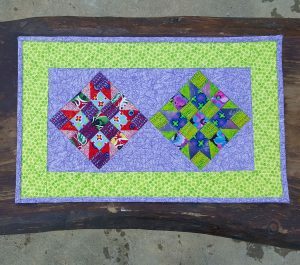 The runner measures 14 x 38 inches. 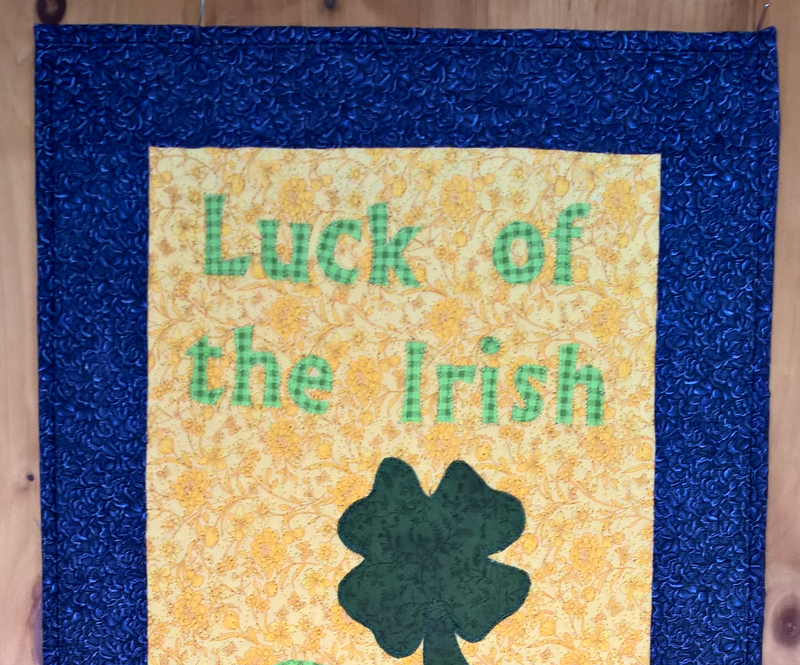 Categories: St. Patrick's Day, Table Runners.